My friend and collaborator from Foodie Home Chef has kindly sent me another of her great recipes as a guest poster on my blog. She has done on of my favourite condiments! Check out her blog for more great recipes! The question is… what can’t you use this on? It’s so great as a topping/garnish on all Mexican Dishes like Tacos, Chili, Burritos, Huevos Rancheros & so on. 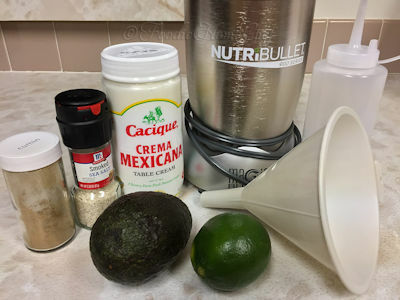 I use it on my Loaded Mexican Hot Dogs along with mustard (see recipe http://foodiehomechef.com/recipe/loaded-mexican-hot-dogs/). I also love it on scrambled eggs, it gives them a scrumptious creaminess… I’m sure you’ll love it! 1. 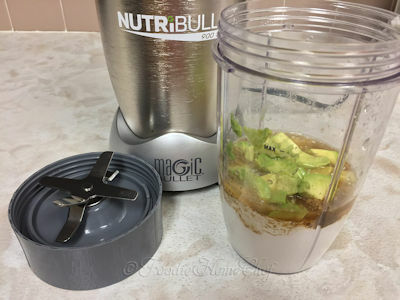 Add all ingredients to a blender or bullet cup. Process till well combined & smooth. 2. 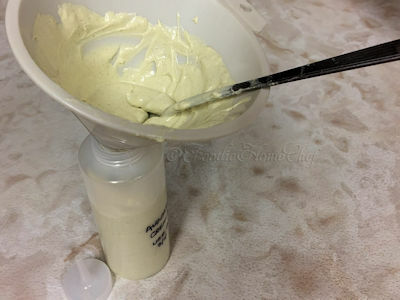 Using a funnel; force the mixture through, using the back of a spoon or a narrow spoon handle, into a condiment squeeze bottle (see Tip# 2). 3. Refrigerate 6 to 24 hours allowing the flavors to marry. Shake before each use. 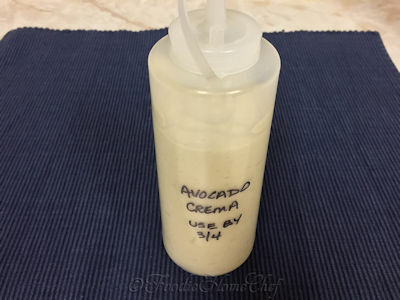 Use within 10 days to 2 weeks, but don’t go past the exp date on the Mexican Crema. 1. 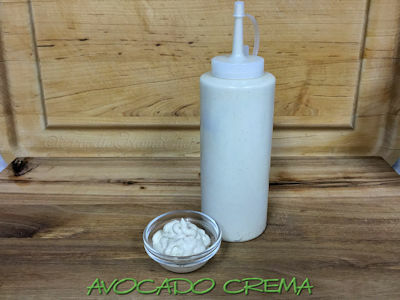 You can find Mexican Crema, in one of the refrigerated sections, in most supermarkets. 2. It’s easier to use if you have a condiment squeeze bottle. If not, transfer to a small covered bowl & refrigerate 6 to 24 hours before using. Be sure to put a use by date on your container. new to me, sounds interesting, will have to give it a try.